Many people claim to have memories from past lives. Hypnosis is thought to be able to unlock some of these memories. Some people claim to be the reincarnations of famous historical figures while others had more average lives. What is truly unique is to hear the recounts of past lives from the lost city of Atlantis. The famed city was supposedly lost beneath the ocean waves centuries ago. 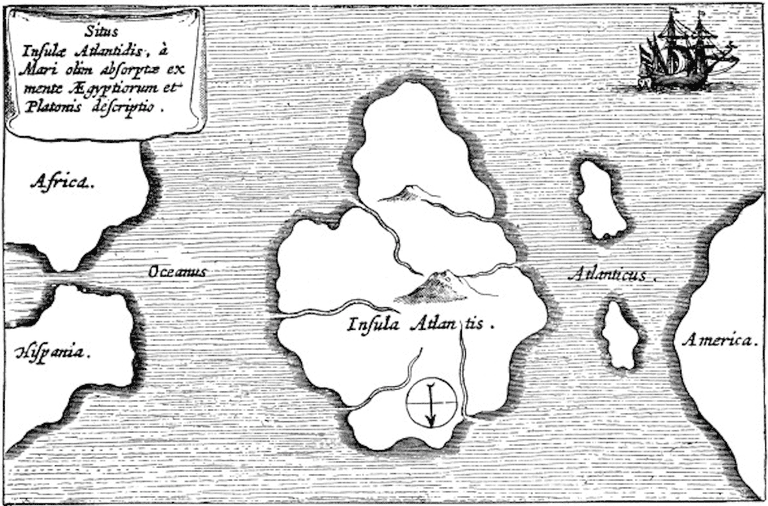 Can these accounts of past lives tell us anything about the fate of Atlantis? Sometimes I think it is interesting why we choose names. When I was 33 I did a series of meditations and while I was not looking for past life memories that is exactly what I found. I found deep within me memories of Atlantis and how Atlantis fell. I remembered my parents (whom I do not think I have met in this life time). I remembered a detailed culture with this. I remembered a husband and children. I remember being a healer. Atlantis was destroyed due to the building of a crystal laser without calculating the strength of what it could do. I remember getting onto a boat two days before Atlantis fell. These memories for me were hard to digest. It was difficult for me to accept what I was seeing and feeling in these meditations. So now there it is why I choose Atlantishealer as a name that I use often. To remind me that ego and arrogance can destroy. There was a worldwide cataclysm of fire and flood that I managed to live through. I had a wife and two children who died in the disaster. I remember many details of the struggles of myself and others to just stay alive and survive the aftermath. Eventually, I found myself in an escape boat being led by a woman warrior/god named Freya. We reach the shore of a friendly land which we name Freya's Land. This and other related recalls were initiated by a kundalini experience that dramatically changed my life. I was working with my Reiki teacher with issues of power when she asked me if I had had an experience with abuse of power. Suddenly I became aware of having been in Atlantis, as a very powerful woman and having wiped out a lot of the population. I experienced such grief and remorse, knowing that I had used my powers in such a destructive way. I also realized that because of my power, I was instrumental in making thousands leave Atlantis to populate other countries - primarily Egypt. I was a priestess in the Temple of Hegira on the southern coast of the island of Atlantis in the year 23,000 B.C. I was pale skinned with strawberry blonde hair, very pretty and was very happy and content with my life. I lived with my parents near a fishing village. I joined the temple in my late twenties where I studied metaphysics, channeling, and prophecy. I lived in the Temple all my life, never marrying but devoted my life to the Temple and its teachings. I died in a very happy and contented fashion knowing my spirit was to join other priestess-in-spirit who were the guardians of the temple. I was a scribe and mystical writer named Meaka (pronounced Me-Ka in English) for the high priests of Atlantis. I do not remember how old I was only that I was young. I was male and wore a toga-like robe of white, which symbolized power and purity. I had long hair, which symbolizes the same. I had a wife and child. In the dream, I remember being in a house made of stone and looking out on to roads of water (similar to Venice) and seeing a large wave of water rushing toward the city. I remember going outdoors along the fenced bridges along the sides of my house to where my family stood. I remember facts, like the shape of the city, the high officials, the language. I remember knowing that I had family living in Egypt. This was my first life. I have others. In Atlantis, I was at a place where I really felt I was at home. I had friends and people I could trust in me and support me in anything in life. The life in Atlantis was based on spiritual respect and unconditional love. People lived in accordance with the law of one in the brotherhood and sisterhood of Atlantis that had respect, honour and loyalty to one another. In this life, I see myself as a healer and teacher. I had many additional gifts within my DNA. I had my own temple home where I lived; it was made out of white marble and light blue granite. The front of the temple had support columns that were very tall. The temples looked like Ancient Greek & Egyptian style in construction but more creative in science and color. Each column had inscriptions of the Atlantean language, which was complex and a lot like the Ancient Egyptian hieroglyphs. The Atlantean hieroglyphs were cryptic. They basically had three forms of written languages, one was similar to Phoenician, the other runic, the third was a lot like ancient Sumerian, the hieroglyphic language they possessed was a lot like the Egyptian one but with many differences. When a person got seriously injured or if they lost their vision, or if they lost a limb because of an accident they would be taken to a temple and the most advanced healer would be called. They would place their hand on the affected area, giving life and balance to the place in their body that was damaged. Like Jesus healed people in past times, the people of Atlantis lived in much the same way as Jesus. Science also worked in conjunction with spiritual laws in their society. Their secret to a better society was through God, to hear him, and gain all secrets of creation. We created a Utopian world. We have the divinity gene and with this, we are the divine and we become part of heaven’s touch on earthly life. Most of the people that lived in Atlantis were Pleidians but soon other star systems and other galaxies of humans came to Atlantis to learn. For Earth became the center of all knowledge in the every corner of every star throughout space and time. By many dreams and collaborations with my past life sisters, I have come to discover that I was born in Atlantis. I was one of seven girls and we were very important and strong magically. I remember later in that life, possibly the next life that we moved to live in a very large white house on a lot of land. Our mother was killed along with one of the sisters in a ceremony and we hid away with our father. Before our mother died, the babies slept in a solid white room with jasmine flowers on a table. The smell of gardenias and jasmines always make me feel something very strong. I remember more of the emotions than anything. My name was Aneria. I was a princess that lived with many sisters. I had a fiancé and he was killed in something called "crystalis defusion." It was our wedding night. I died a lonely sad death. I think I killed myself. My mother was very important. There was some kind of relic or something that was sacred, like a crystal that was in a large room. I remember after it was destroyed. So many people died in the tragedy. My mother protected that thing with her life. We looked different than people today, it was almost like we were all like saints, like holy beings. I feel now in this life I'm searching to find my love from Atlantis, and hopefully my mother from there too. I want to find my sisters also.